Engine Code: AUD. Engine Code: Z 12 XEP. Engine Code: D17A2. Engine Code: Z12XEP. Engine Code: H23A3. Engine Code: Z10XEP. Engine Code: F23A7, Construction year from: 01/1998, Construction year to: 05/2001. 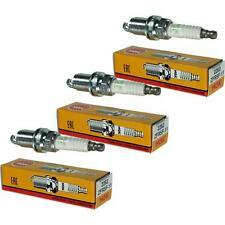 This Sale is for 4x "DR17YS-11-WC" Brisk Silver Single Point YS Spark Plugs. Dodge Caliber 2.0i (with 4 cyl engine) = models from year 2006 to 2017. for = Lpg, Autogas, Cng, Gpl, Gasoline & Petrol use. Dodge Caliber PM 1.8L, 2.0L & 2.4L 2007-2012. The part might be different to the one on your car, and you may receive the wrong part. Many cars have more than one option, even though the compatibilty info says that it fits your car. Zündkerze:mit Flachdichtsitz. Außengewinde [mm]:14,0. Funkenlage [mm]:3. geeinet zur DODGE CALIBER. 4x ZündkerzenNGK Serie - OrginalVL33. BKR5E-11 /1662 /VLine 33 /V-Line 33 /V-Line33. Zündkerze:mit Flachdichtsitz. Außengewinde [mm]:14,0. Funkenlage [mm]:3. geeinet zur 4x ZündkerzenNGK Serie - OrginalVL33. BKR5E-11 /1662 /VLine 33 /V-Line 33 /V-Line33. Motor: 1.8L, 2.0L, 2.4L; ; Mit 1.8L Motor; ; mit 2.0L, 2.4L Motor;. Motor: 1.8L, 2.0L, 2.4L; ; Mit 1.8L Motor; ; mit 2.0L, 2.4L Motor. Short Code: 2477. NGK SPARK PLUGS FOR CARS > NGK IRIDIUM IX SPARK PLUGS. Product Version: IRIDIUM IX. Model: CALIBER. Centre Electrode Material: IRIDIUM. Product Type: SPARK PLUG. Make: DODGE. Ground Electrode Material: NICKEL. Dodge Caliber 2.0 04/06 - NGK Bujías X 4 estándar ZFR5F-11 ! nuevo! Short Code: 2262. NGK SPARK PLUGS FOR CARS > NGK STANDARD SPARK PLUGS. Model: CALIBER. Product Type: SPARK PLUG. Make: DODGE. Gaghills Mill. List Price £ 23.36. 100% SECURE. 2006-2011 Dodge Caliber All Petrol Engines (Except 2.4L). One Set of Four Single PLATINUM (Longer Lasting) Spark Plugs. 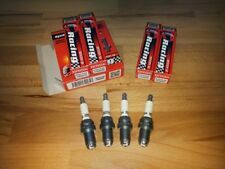 DODGE CALIBER 2.4 Spark Plugs Set 4x 2007 on Bosch. Thread Pitch 1.25 mm. Spark Position 5 mm. Function Spark Plug. Outer thread 14 mm. Thread Length 19 mm. 360 degree product illustration. DODGE SP00ZFR5AP. 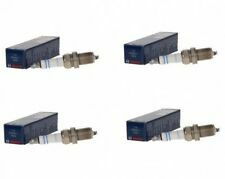 4 x IRIDIUM Spark Plug. Dodge Caliber PM 1.8L, 2.0L & 2.4L 2007-2012. 4 x Ignition Coil. Vehicle Identification Number - VIN. Repair KIT Contains The part might be different to the one on your car, and you may receive the wrong part. Dodge Caliber PM 1.8L, 2.0L & 2.4L 2007-2012. 4 x Ignition Coil. Vehicle Identification Number - VIN. Repair KIT Contains The part might be different to the one on your car, and you may receive the wrong part. Dodge Caliber PM 1.8L, 2.0L & 2.4L 2007-2012. 4 x DOUBLE PLATINUM Spark Plug. 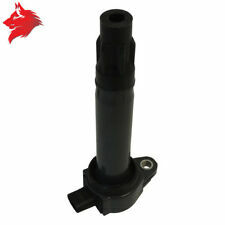 4 x Ignition Coil. Vehicle Identification Number - VIN. Repair KIT Contains The part might be different to the one on your car, and you may receive the wrong part. Dodge Caliber PM 1.8L, 2.0L & 2.4L 2007-2012. 4 x PLATINUM Spark Plug. 4 x Ignition Coil. Vehicle Identification Number - VIN. Repair KIT Contains The part might be different to the one on your car, and you may receive the wrong part. FOR DODGE CALIBER. Part Details:Bosch Plug Type: Platinum Plus. This is an original quality part manufactured by Bosch. Part specifications.